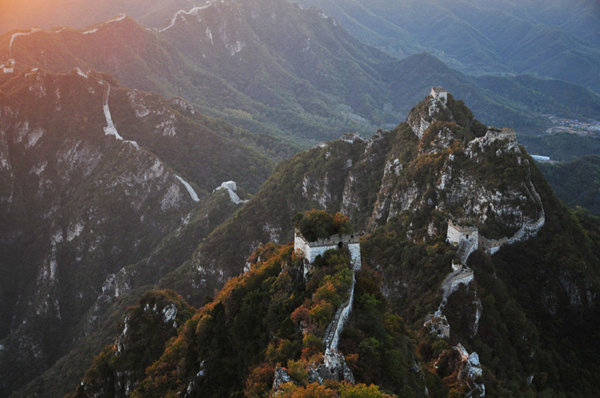 Embark on a fantastic 22 km Great Wall hike from the picturesque Wild Gubeikou Great Wall to the Wild Jinshanling Great wall. 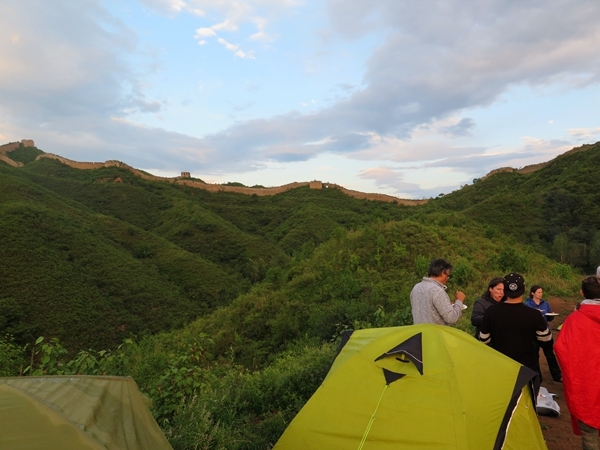 From our super scenic camping spot we can watch the sun set and rise over the Jinshanling Great wall, the Gubeikou Great Wall and see all the way to Simatai Great Wall. Day 2 we follow the famous Jiankou to Mutianyu Great Wall trail where we can see the Jiankou Great Wall built on cliffs and the restored Mutianyu Great Wall. From our meeting point (Lama Temple Subway exit B), we drive for about two hours to our local friends that run a small homestay surrounded by the Gubeikou Great Wall. 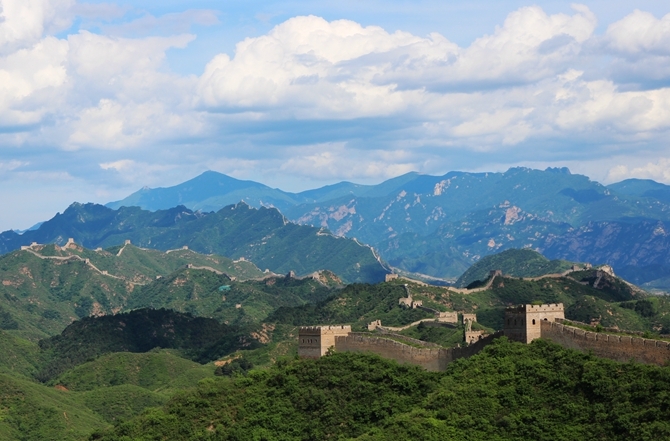 With a view on the Crouching Tiger Great Wall we enjoy a truly delicious organic meal. After lunch our adventure starts. 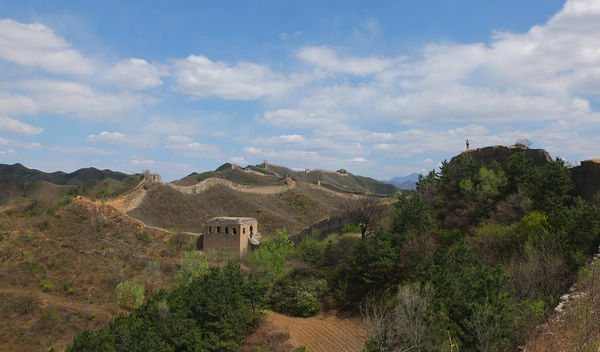 It takes us only 15 minute hiking up the hill behind the farmhouse before we get our first glimpse of the Gubeikou Great Wall. 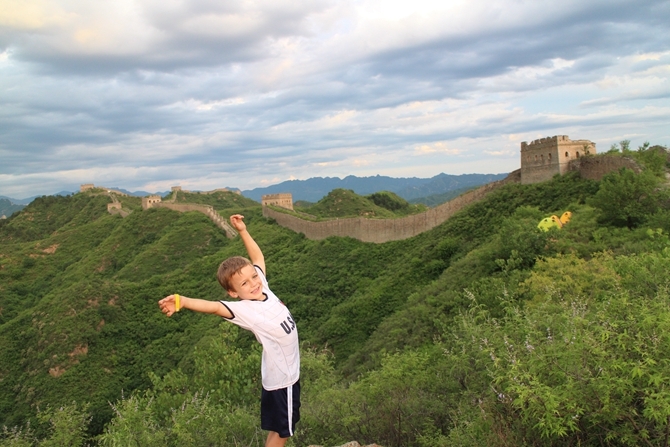 A few more turns on a little bush trail and we are on top of the Great Wall. We hike from tower to tower and take breaks inside or on top of the watch towers. 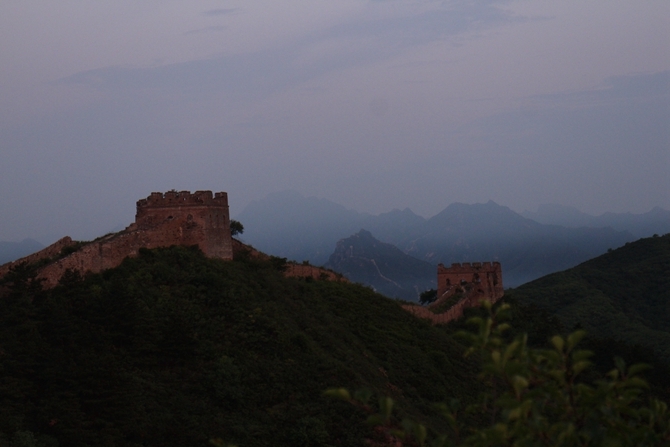 The rooftop breaks a great chance to take some awesome pictures of this 1400 years old section of the Ming Great Wall. 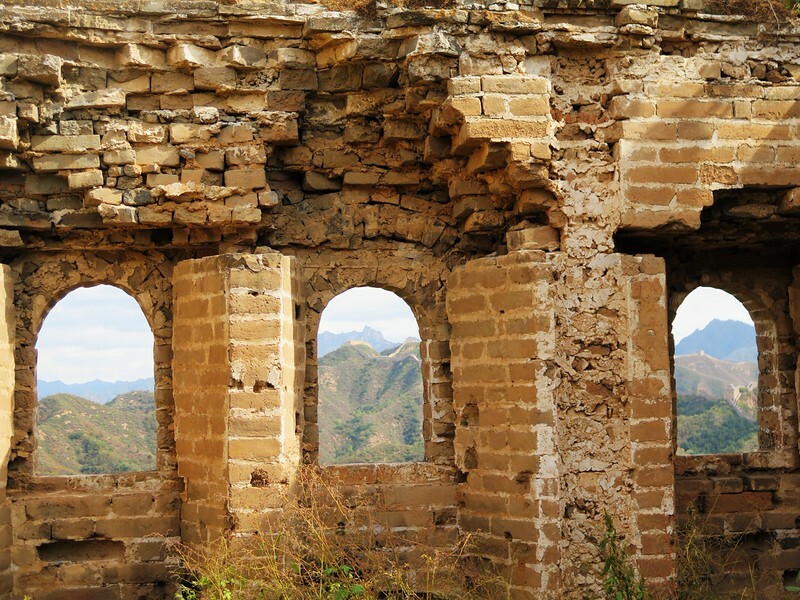 Three hours later we arrive at the second highlight of today’s trail, the Gubeikou General Tower. 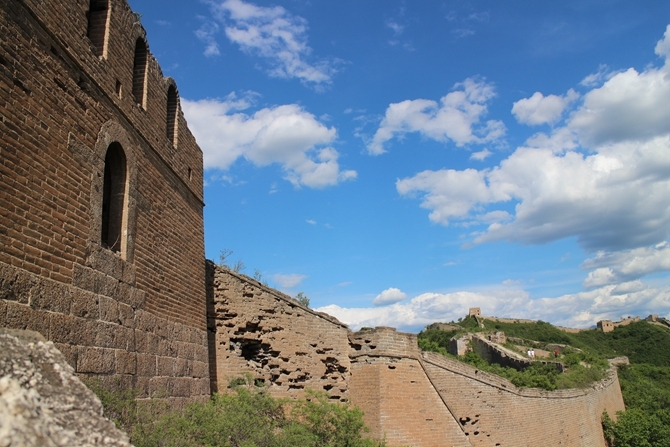 From this 2 story high tower you can see the entire “Gubeikou- Jinshanling-Simatai Great Wall ” . 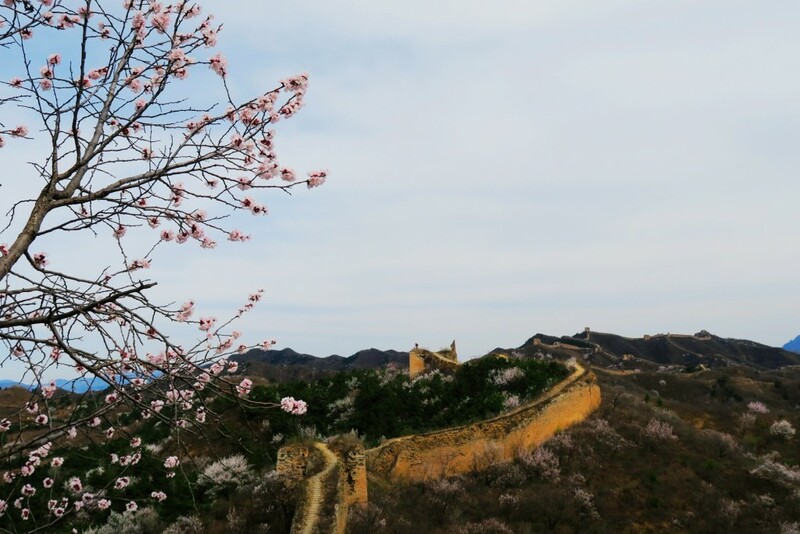 On a clear day we can even see the Fairy Tower, the highest tower of the Simatai Great Wall. 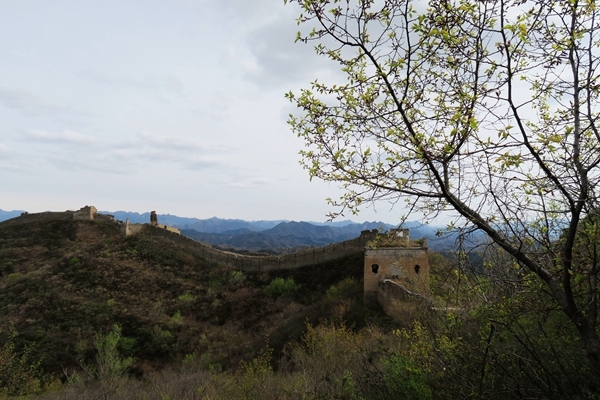 Here we side track a bit from the Wall to get around the restricted military section of the wild Gubeikou and Jinshanling Great Wall. 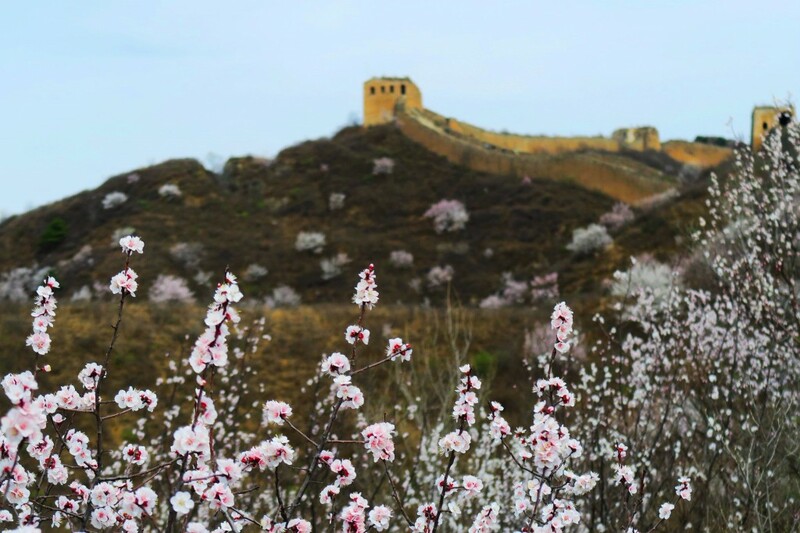 It’s a really beautiful trail that meanders through farm fields and over the hill ridges next to the Wild Jinshanling Great Wall. 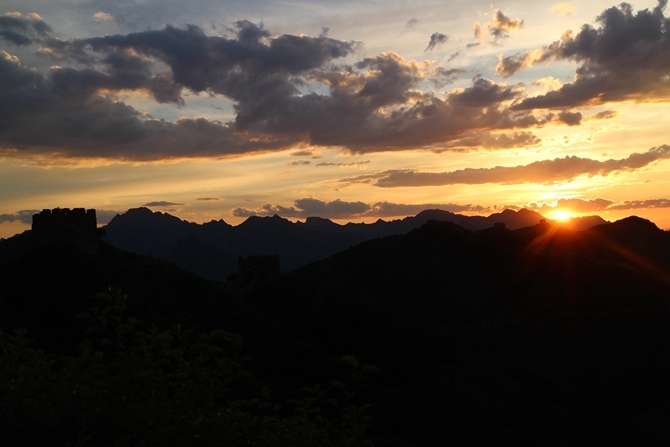 We get up early today to watch a fantastic sunrise over the Jinshanling and Gubeikou Great Wall. 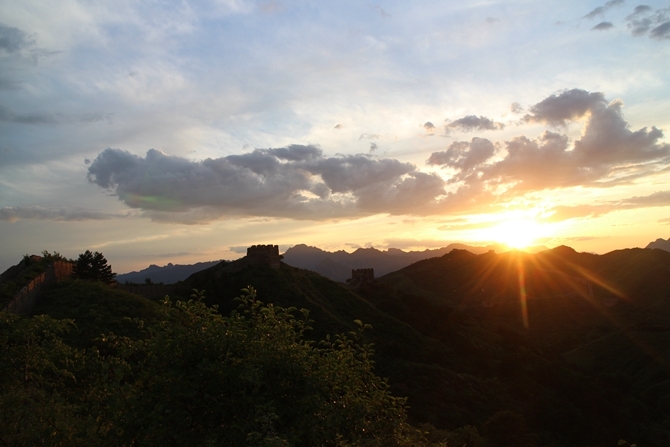 This is the moment to take the best picture of your China trip. 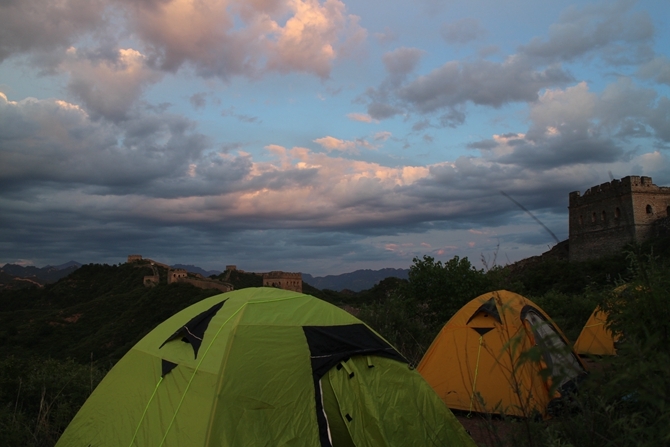 If you pitched your tent in the right spot you can just watch the sunrise from the comfort of your tent. We pack our tents and head down to the farmhouse for breakfast. A short hike out of the valley brings us back to the main road where our driver will be waiting to drive us to the start of the Jiankou to Mutianyu Trail. We rate this hike level 3 medium/strong because of the distance. 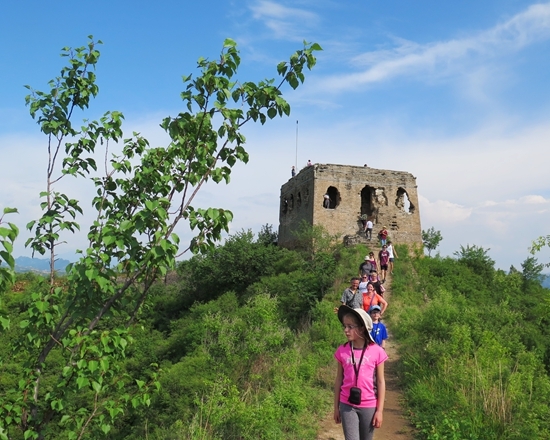 There are no steep climbs on the Gubeikou to Jinshanling hike but on the on the Jiankou to Mutianyu trail we do start with a strong up hill hike. 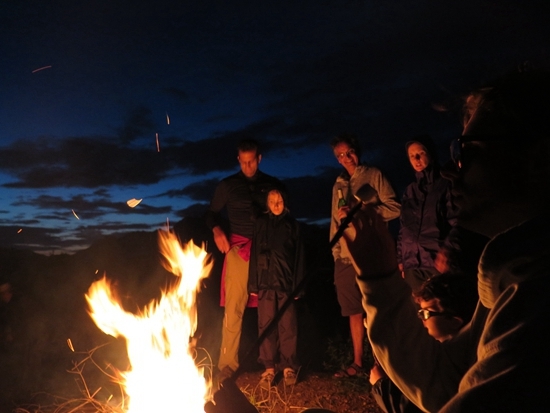 We don’t have to carry any camping gear hence the medium/strong rating, Anybody with a normal to good physical condition will enjoy this trip very much. 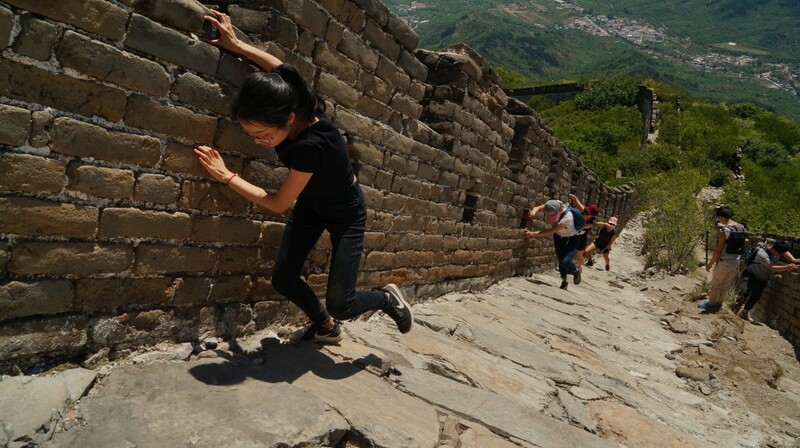 We took their "Gubeikou to Wild Jinshanling and Jiankou to Mutianyu Great Wall Camping 2 Days" tour in September 2018. We had John and Dan as our guides and we thoroughly enjoyed the trip despite the scorching heat at the time. John's English was good and he was very knowledgable. 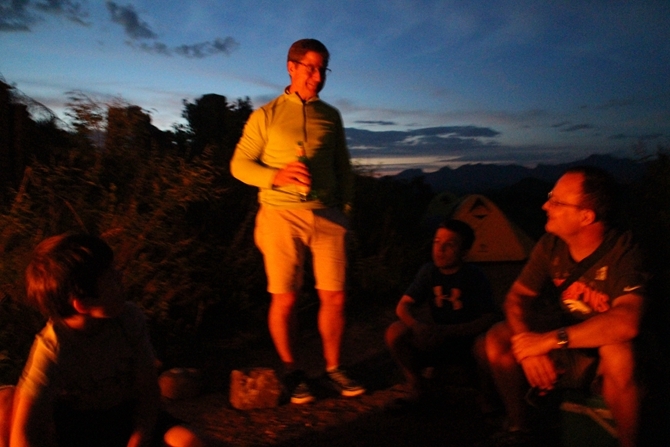 Apart from the guides there were seven others with us aged twenties to mid thirties. 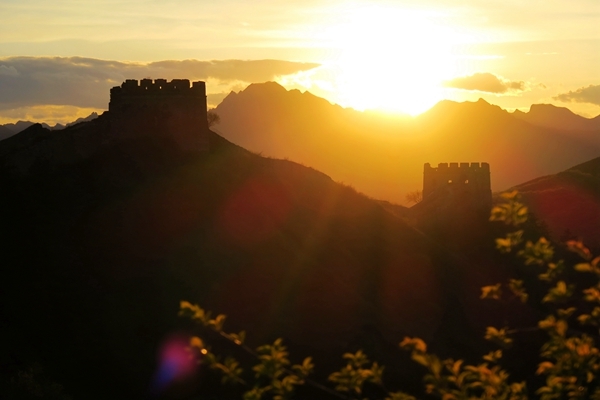 Watching the sun set over the Great Wall and then rise the next morning casting gorgeous colours on it was a truly memorable experience. 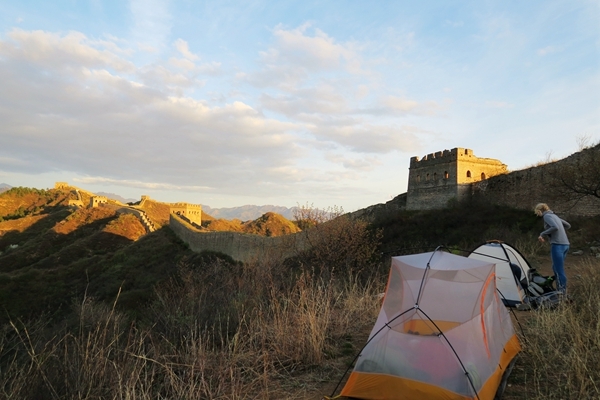 The camping gear was easy to carry over the short distance on this particular tour. The only negatives were that there was actually too much food (waste), especially on the first lunch, and the price was quite high for us. 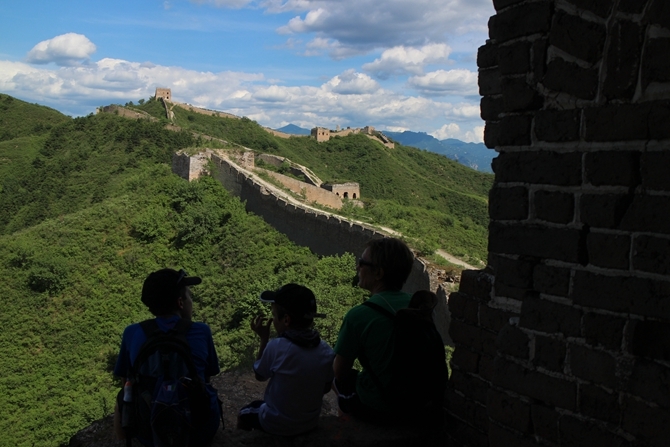 Our family of 4, 2 adults & 2 children(12 & 14), had a great experience on this hike - we all rate it as the highlight of our trip to China. Chloe responded to enquiries promptly & tailored this hike to suit our dates given we were a party of 4. 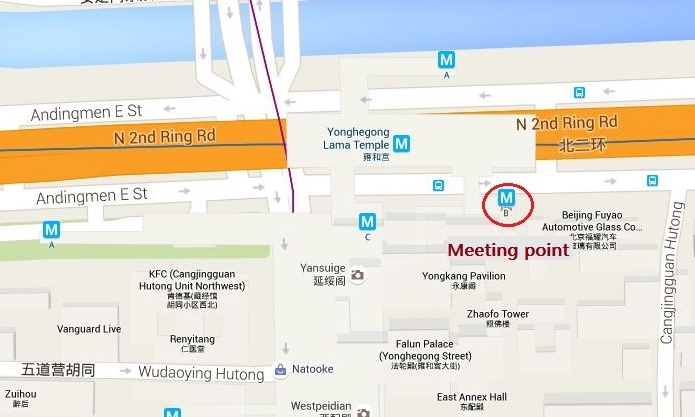 Fred responded to our call for help when we couldn’t get a cab to take us to the meeting point on the morning of our departure, & were not yet familiar with the Beijing subway & arrangedfor a taxi to pick us up. Terry was a fantastic guide - engaging, very knowledgeable of Chinese history & culture, & great to get a perspective of a person not born & raised in China. The food freshly prepared at the 2 guest houses visited in remote locations was some of the best food we ate in China. 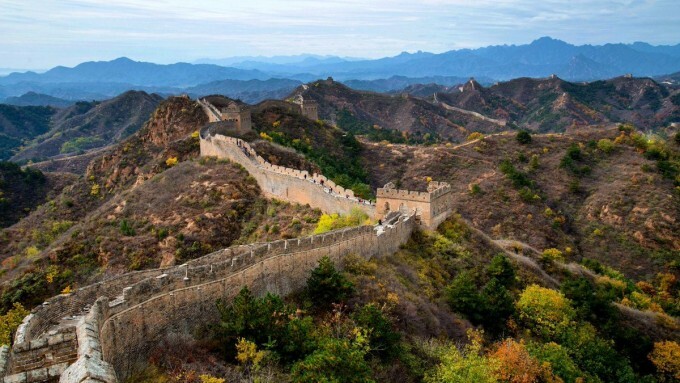 Recommend anyone considering China Hiking to stop hesitating and book!!! 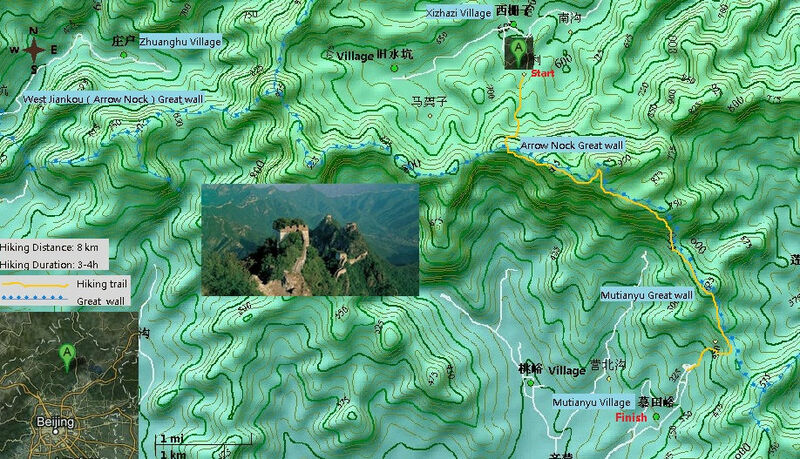 Did Gubeikou to Wild Jinshanling and Jiankou to Mutianyu. 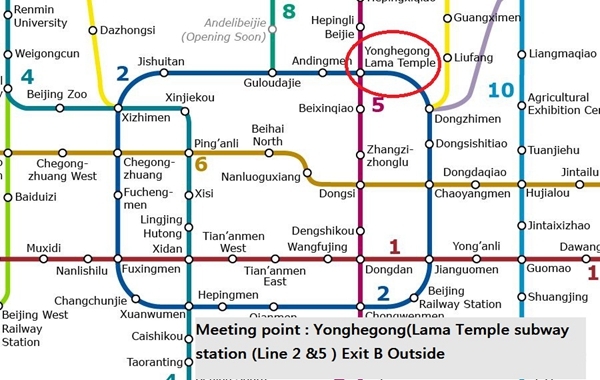 Great trip our guides met us at Lama Temple station. Jane, Dan and I think Fred was also there but didn't hike... Good meet and greet and Attendance check before we left, plenty of conversation and interaction initiation. Very good meals with variety and vegetarian friendly (I'm not a vege but I like veges) all water provided we even ended up with a few spares out of the quota we had per day, which was nice as the 2 days after we explored Beijing and I only needed to quench my random desire for apple juice as we had water. photos where taken by Jane and Dan Then added to their Facebook page which is great as when you are taking photos you often forget to take any of yourself. 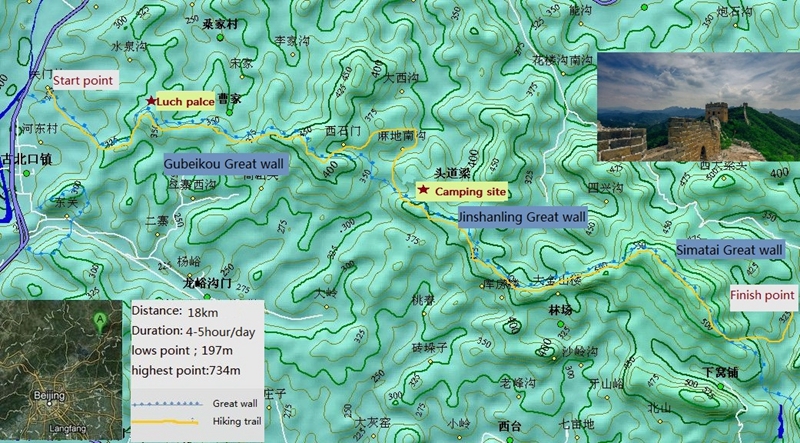 All in All great 2 days Hiking, would Hike again, will Defiantly China again. I had initially booked my trip for April but I got sick and had to cancel last minute. I was able to reschedule my trip for August with no hassle (or extra fees!) which I really appreciated. The trip itself was flawless. When they say that everything is taken care of, it is not a lie. Not only were all meals provided but they were also delicious and there was more than enough to go around. Manuel and Daniel were fantastic guides and they made the experience educational as well as fun. 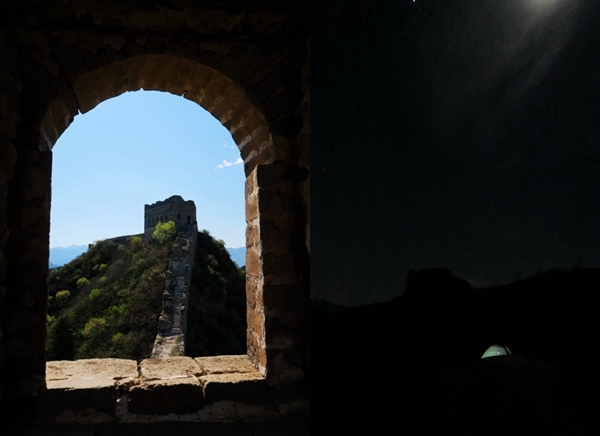 I would definitely book with ChinaHiking again! 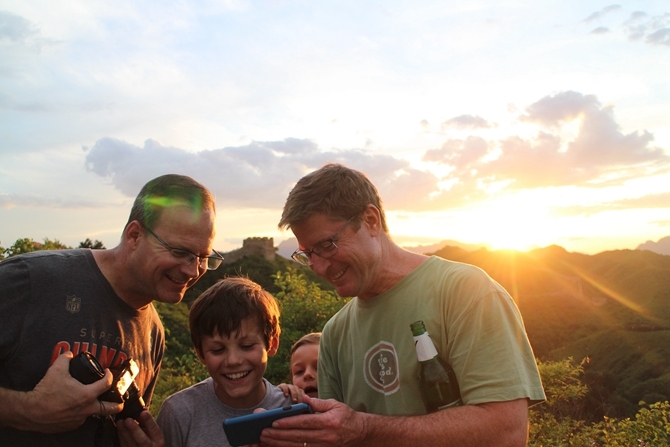 Our family of five (with three teens) had a great hiking and camping trip on two quiet and very beautiful parts of the Great Wall. Our guide John was amazingly knowledgeable about the history of the Wall, sensitive to different members of our party's needs, very flexible and great fun. 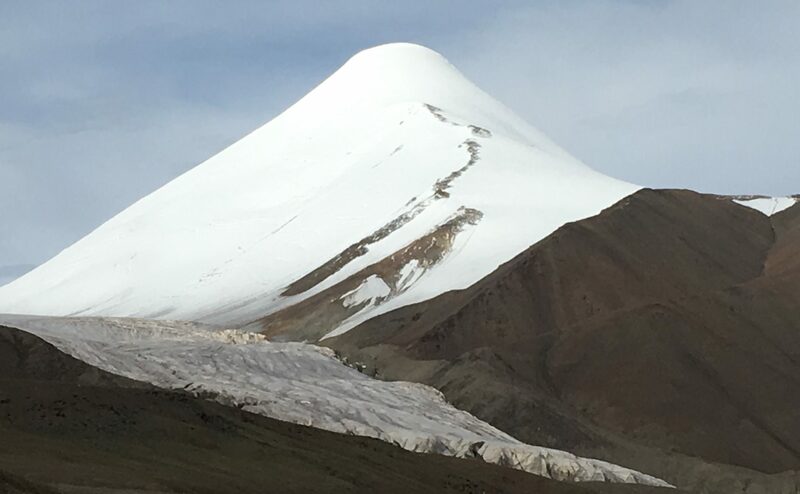 Working closely with Fred and his wife back at base (who liaised with their network of local farmers for up to date info on conditions) they came up with a fascinating and beautiful route, in spite of weather challenges, that everyone enjoyed. We were in safe hands. 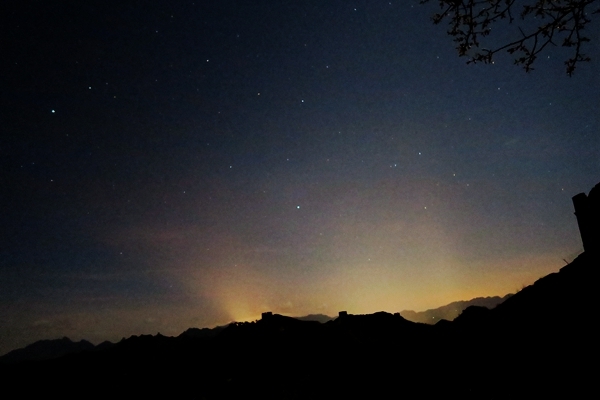 We went on a 2 day Hiking and Camping trip to Jiankou and it was absolutely fantastic!! We had been to a different (touristy) section of the wall before, and as we were having family visit us from England we wanted to find something a bit more special, rustic and less crowded and Oh boy we got all of that in spades! Fred and Heidi were extremely helpfull with their quick and informative E-mail correspondance, they offered their experience and opinions to help ensure that we were able to choose the best trip to suit us and once in Beijing they arranged for our guide and driver to pick us up from a coffe shop close to our AirBnB in the morning on the first day! Great customer service! After driving through some Typhoon style rain and flooding on the way through the villages, our guide Terry was in constant contact with Fred and explained all the options and possibilities that were available if we had to change plans due to.the unforseen weather conditions! 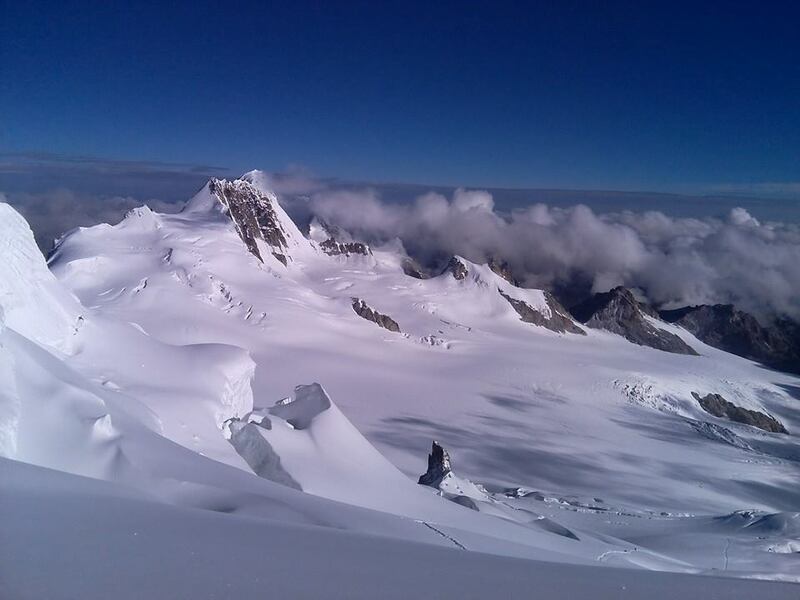 Luckily the weather was ok once we arrived at the viallage where the hike started. 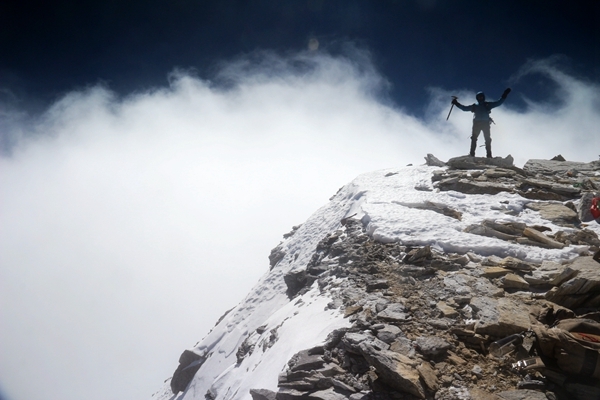 After a plentiful and delicious lunch we grabbed a few supplies from the shop and we set off into the clouds! For the first couple of hours we were in thick cloud which gave the wild and untouched secrion of the wall a very myserious and magical feel. With some rumbles of thunder getting lounder and rain on its way we took shelter in one of the watch towers, as the wind pick up we watched as the clouds were blown out the valleys to reaveal the unforgettable views of the wall snaking along the ridges! 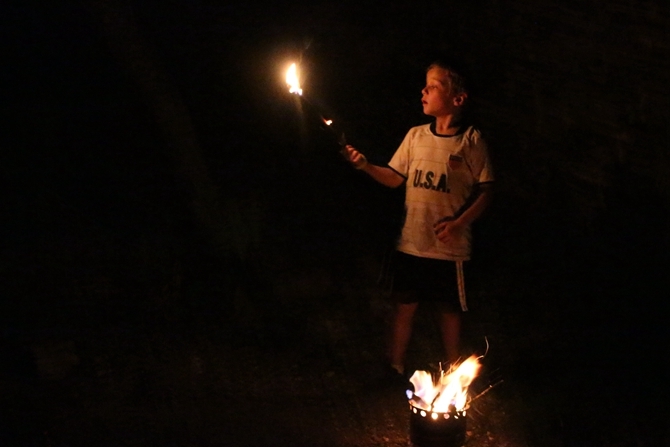 Again Terry gave us an alternative option of staying down at a farmhouse in the valley if we wished, but we had our minds set on camping in the watch tower and we are so glad we did! Another delicious meal was brought up to us by the local farmhouse owner, who was the only other person we had seen since starting the hike. 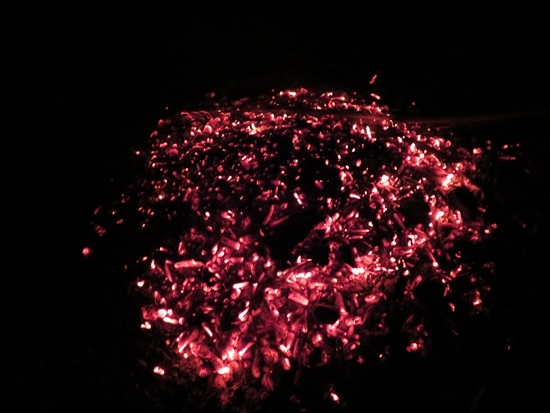 We got a lovely fire going, and ate, chatted and had a couple of well deserved beers! The second day we were caught in torrential rain on the way down but that didnt dampen our spirits! A hearty breakfast at the farmhouse once down into the valley and a change into dry clothes was very welcomed! Due to the weather the other sections of the wall that we were due to hike that day were not allowing hiker up, but not a problem, between Terry and Fred they came up with a great alternative! As we were catching the night train to Xi'an that evening Fred even arranged for us to all grab a quick shower when we got back to Beijing! Thanks to all the team, Terry was a fantastic, easy going and freindly guide! And Fred and Heidi for orchistating everything so seamlessly! 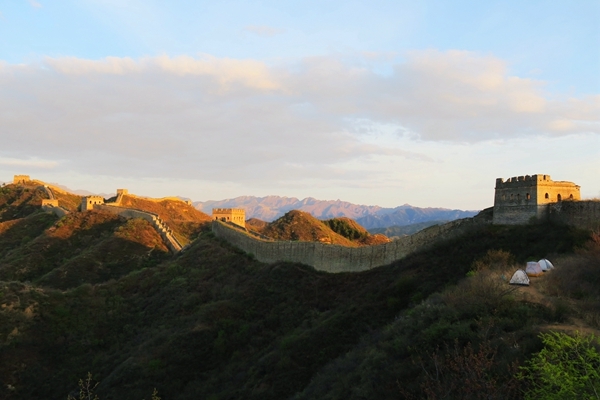 I would highly reccomend anyone who wants to really make their chance to see the Great Wall a once in a lifetime trip! Go with these! You wont regret it! 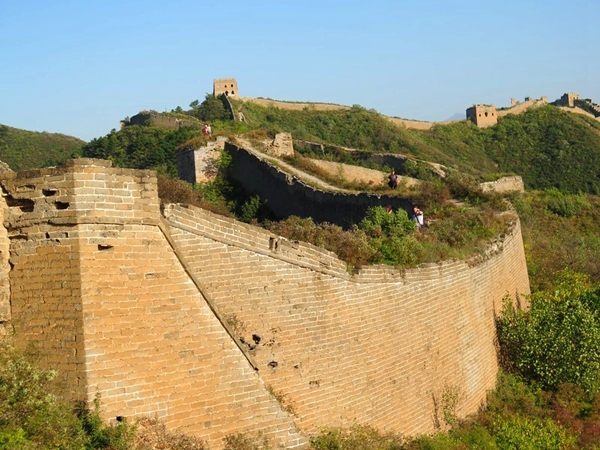 Well-organised from start to finish, great food throughout, peaceful section of the wall with literally no other tourists, fun tidbits and historical facts from our guide. Great group atmosphere throughout, really fun and memorable experience! Had an awesome time on this 2 day hike. We didn’t have much time and this was absolutely the best way to get acquainted with China vs hoping right in and walking around the city. Terry was extremely knowledgeable and easy to talk to. Made my buddy and I feel like we were being shown around the Wall by an old college friend or something. The camping was unique and comfortable. Food was fun and tasty. 5 stars.